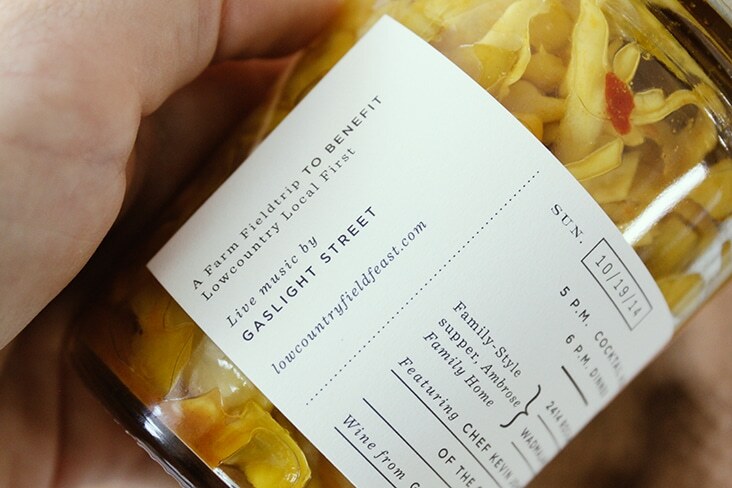 Field Feast « Stitch Design Co. 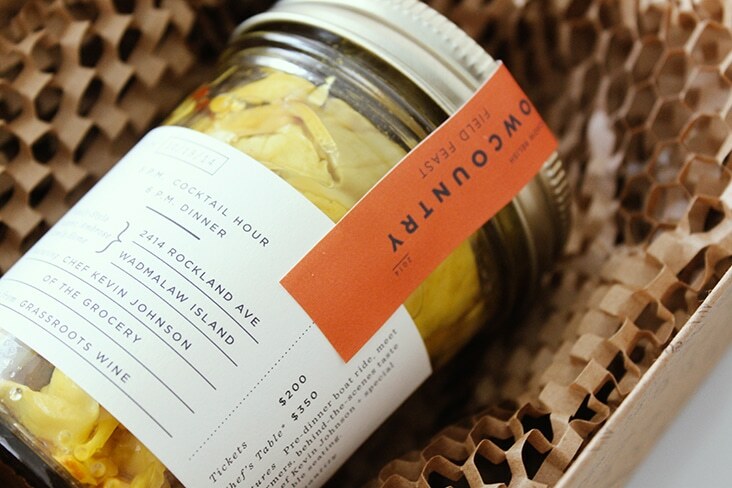 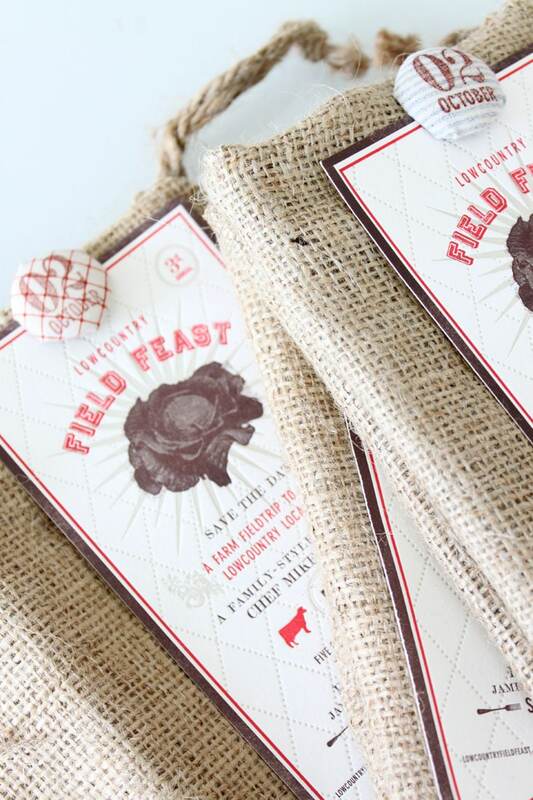 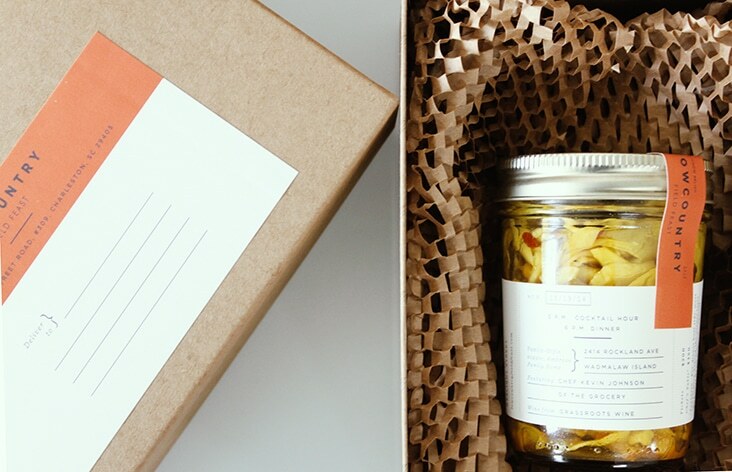 Invitations for the annual Field Feast event are arriving on doorsteps today. 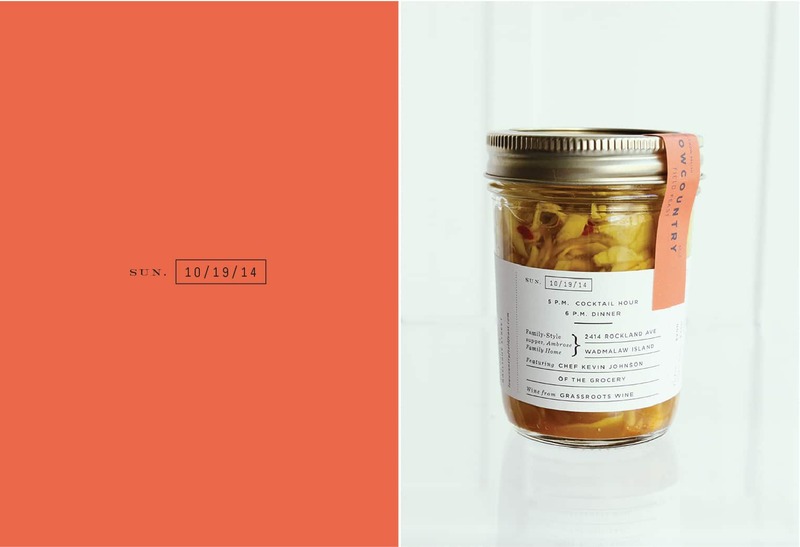 The featured chef this year is Kevin Johnson of The Grocery. 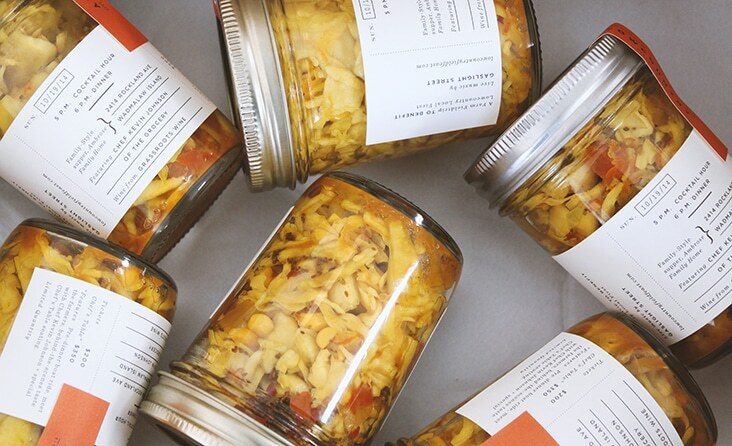 He was nice enough to can some delicious chow chow for the invitation. 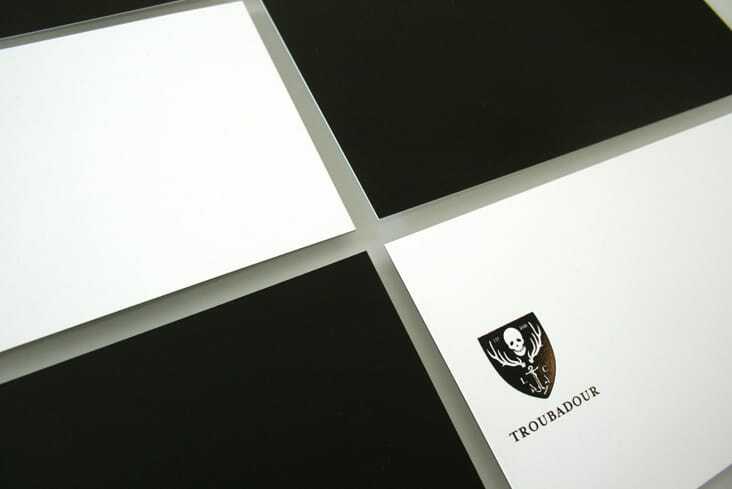 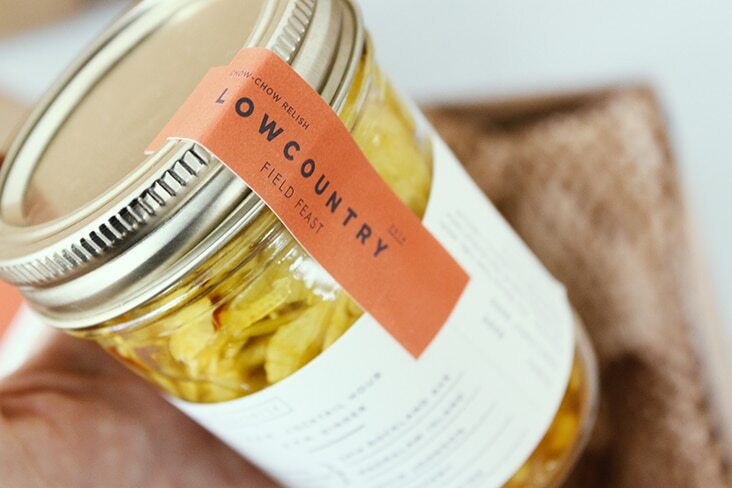 He is well known for his canned goods, so we thought it would be the perfect introduction to the dinner he will be preparing for this year’s event. 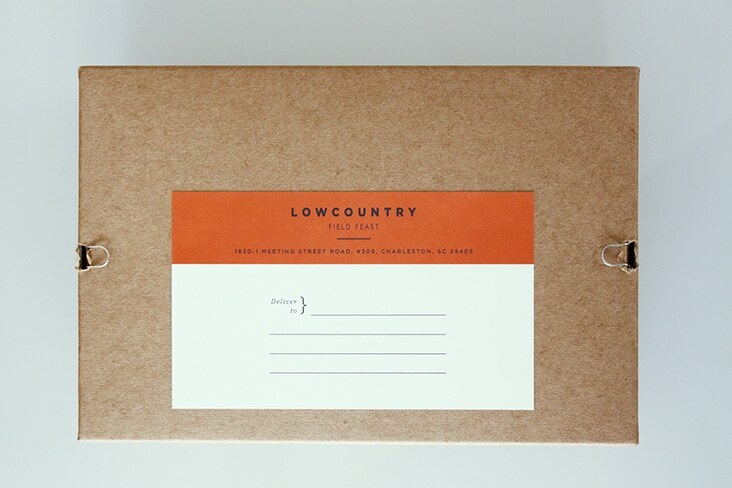 We can’t wait to feast again to benefit Lowcountry Local First. 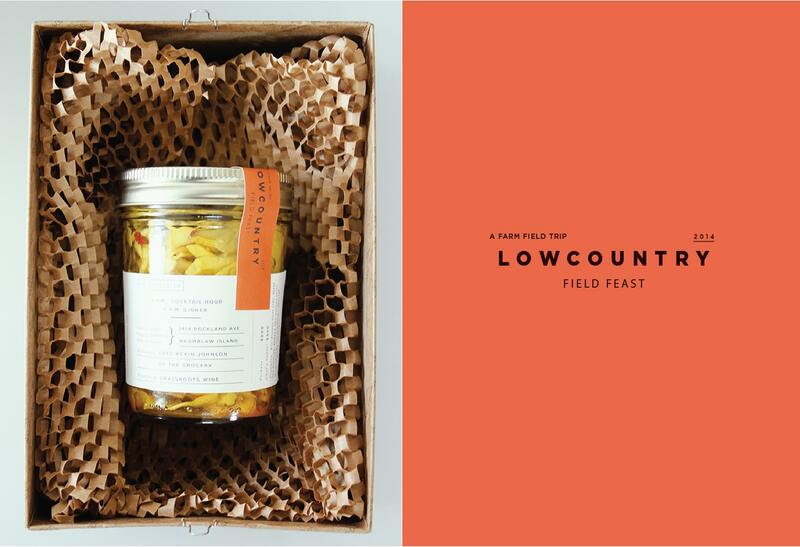 1 Comment > Tags: Field Feast, Lowcountry Local First, Packaging, Stitch Design Co.
We just delivered the 2011 Field Feast save the dates. 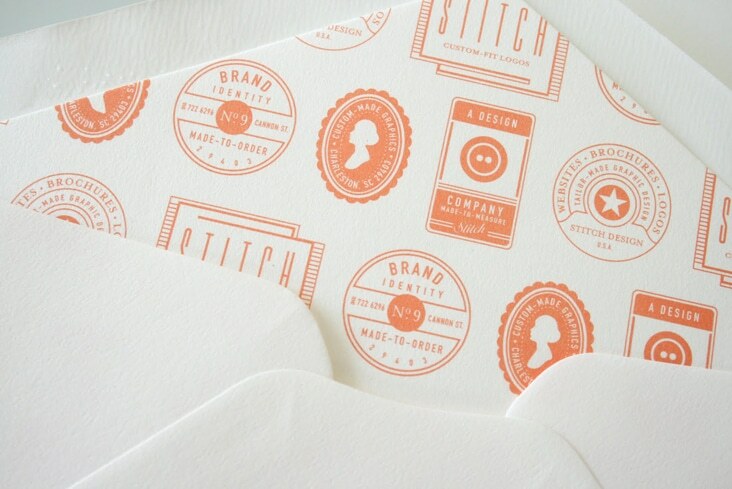 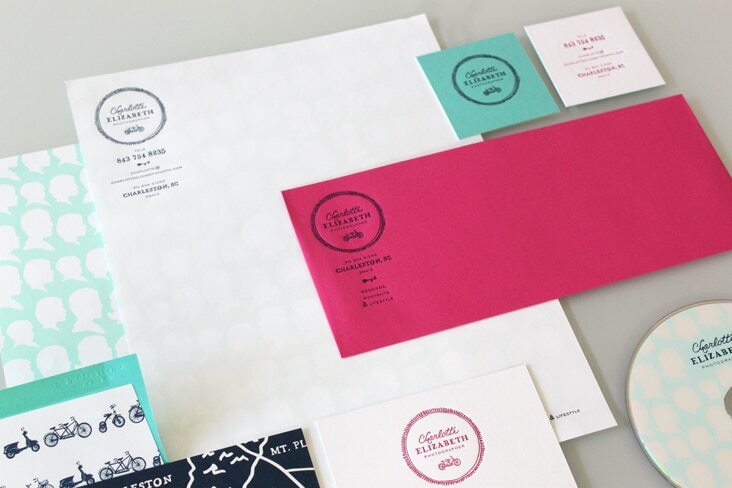 This year, the invites were printed 3 color letterpress, die-cut and attached to a burlap bag with a custom wrapped fabric button. 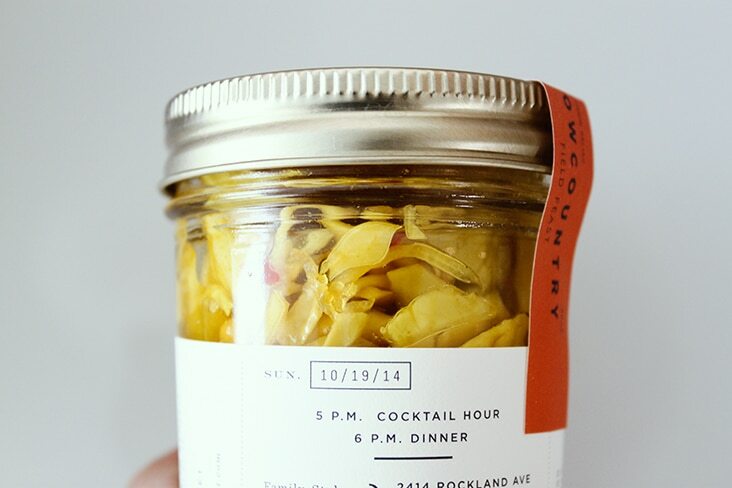 As always, we had fun doing this invitation, we can’t wait for another lovely evening full of delicious food and great company. 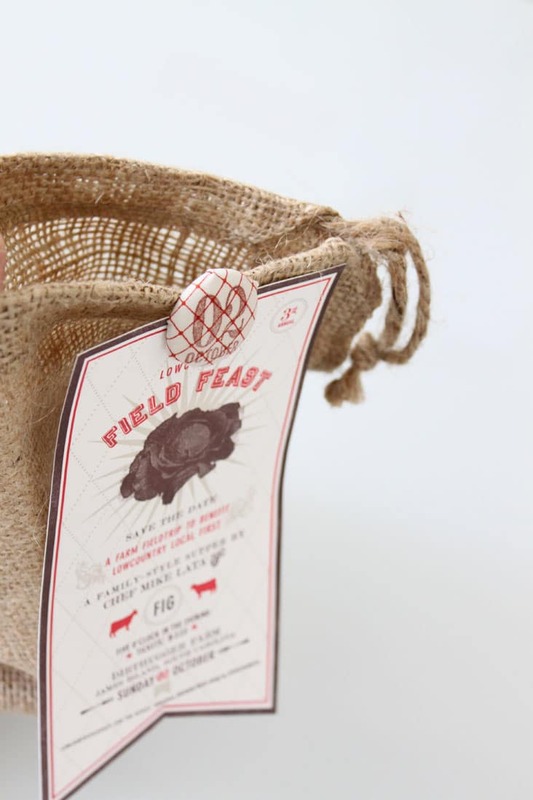 See the Field Feast invites from 2010 and 2009. 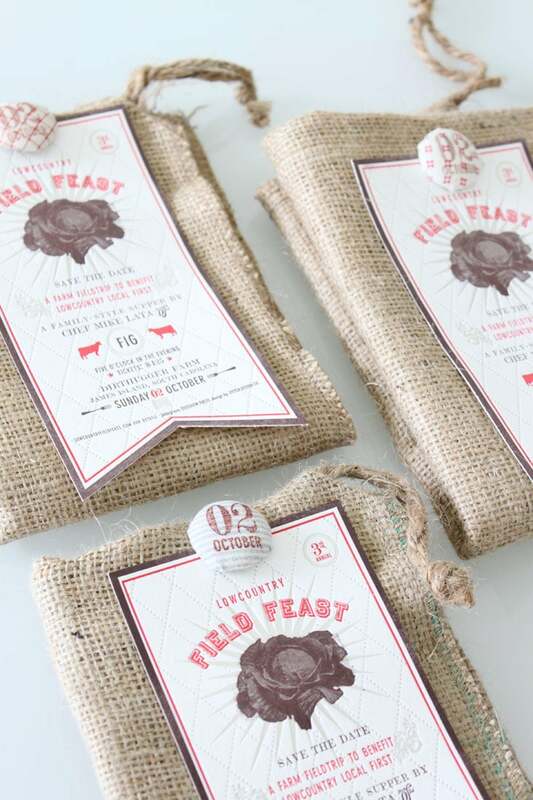 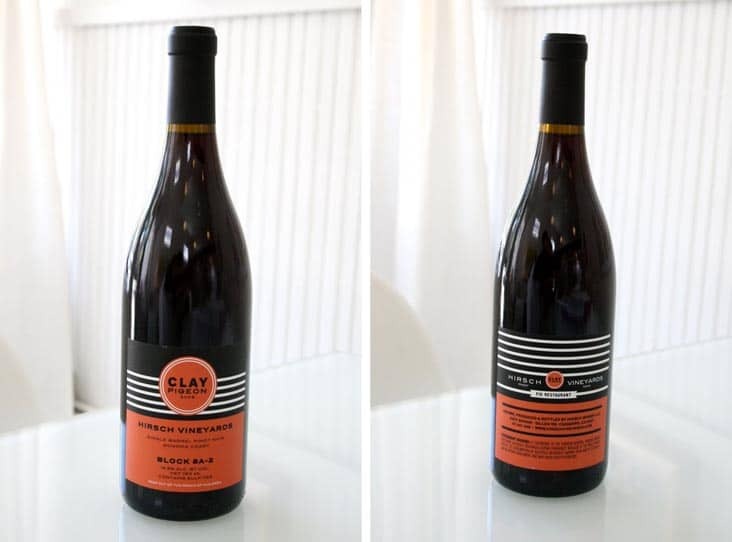 6 Comments > Tags: Field Feast, FIG Restaurant, Sideshow Press, Stitch Design Co.